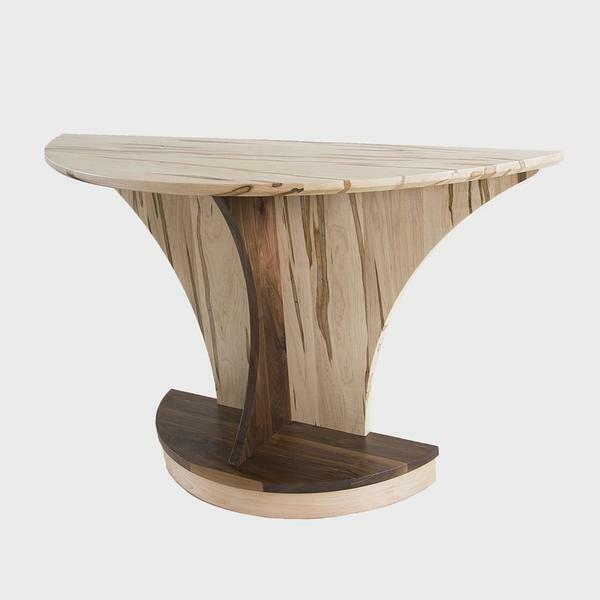 Before we talk about the custom options available on our Amish Sedona Half Round End Table, lets take a look at the stunning design of this accent table that is suited flush against your couch or lounge chair, or in a hallway or entryway. Curves mirror each other in this piece, starting at the half circle pedestal base, up through the spine that connects the base, to the sides with quarter circle cutouts, and finally half circle top. Shown in two-tone wood, this modern end table can be custom-made from a variety of wood types and finishes. Pair it with our Amish Sedona Coffee Table to mirror the unique design in your living room.